One of the revelations I discovered while researching The Practice of Practice was that some musicians–like Erin McKeown who turned me on to the strategy–use composition and multi-tracking, or looping, to improve. Trumpet Wizard Adam Rapa breaks down why using multi-tracking is so good for your practice from a blog post over at the fantastic 21st Century Brass site. Check it out below. You can use a free program like Audacity or Garage Band, or get a loop pedal (I just received a Boomerang and am dying to mess around with it in practice). Many of the major growth-spurts I’ve experienced as a trumpet player can directly be attributed to spending lots of time multi-tracking myself. This has been one of the most important factors in my development, without a doubt. 1) You make choices. Lots of them. 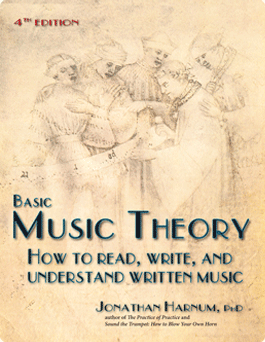 Nuances of phrasing, rhythmic placement, dynamics, articulation quality, etc. This is where you get to develop and refine your artistic preferences. 2) You accurately apply these choices to every part you record, to the best of your ability. 3) You listen back to all of the parts combined and decide if you’re satisfied with the choices you’ve made and with your level of accuracy in executing those choices. Then, you’ve either got a recording you’re happy with, or you go back to step #1 or 2. In some cases, you’ll be happy with the choices you’ve made, but aren’t satisfied with the playing. Perhaps there are too many out-of-tune notes ruining the chords. Or you’re happy with the playing, but after hearing all of the parts together, you decide to make different choices. Maybe you’d prefer to exaggerate the dynamics or articulations a little more; play something softer, or more swingin’; anything that will add greater character in the music. After all, now that you’re multi-tracking, it IS music! Doing this regularly can have remarkable effects on your playing. First, you’re practicing being CONSCIOUS; truly, fully conscious of every tiny detail within your playing, which by itself will bring drastic growth. You may be surprised in the beginning (perhaps because of how awful your first few multi-trackings sound…) by how much junk in your playing normally goes by either unnoticed or at least untended. But not anymore! Now that you’re multi-tracking yourself, you’re fully accountable, fully conscious, and honing your skills at a much faster rate! In addition, you’re practicing consistency. Consistency is obviously one of the best traits we can develop, and is essential both in live performance and studio recording. I LOVE recording sessions and I have the pleasure and honour of recording with world class musicians and producers. From Gospel records to Bollywood film scores, Hip-Hop tracks to Disney productions, the one thing all of those sessions have in common is this: Studio time is expensive and the person paying for it is counting on me to nail my parts as quickly as possible. Here’s what I do: Start with the melody or lead line, then double it for thickness (a very common recording technique). Then record a harmony part while listening to the first part, and double it. Same thing with any additional harmony parts. In eight passes, I’ve just recorded four horn parts, each part twice, each one a keeper. 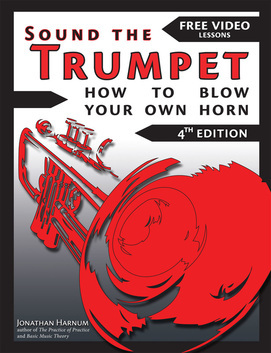 Instant trumpet section! No cleaning needed, no time wasted. Being able to do THIS will certainly ensure that you’ll be called back again and again. That’s exactly the kind of experience you’ll be training for by turning your practice sessions into recording sessions. And what better way to turn those “boring” technical exercises into something fun? What would normally be a musically uninspiring scale study can become a beautiful array of chords; an assigned task of sheer drudgery can become a labor of love and something to be proud of. Think of exercises as potent medicine for curing some kind of technical or harmonic limitation, and multi-tracking as the “spoonful of sugar”. Keep in mind that your first few recordings will probably sound pretty rough. Don’t let this deter you from making more recordings. It will definitely get better over time, as long as you’re proactively working towards improving your pitch and timing every time (among other aspects of your playing). After all, it’s been said that “perfect practice makes perfect.” If you focus, you will improve. Once you’ve gotten some experience with multi-tracking yourself and your recordings are pretty clean, try doing what I do and challenge yourself by recording each line without listening to the other lines, seeing how close you can get. All of the exercises I played in this video were recorded without listening to the other tracks, and without any editing. Often times, this is a humbling test of your pitch and rhythmic accuracy and a strong motivation to be even more mindful of the tiniest details in every note you play. I hope you find this article and video helpful, and that you’ve become inspired to incorporate this wonderful format into your daily playing. 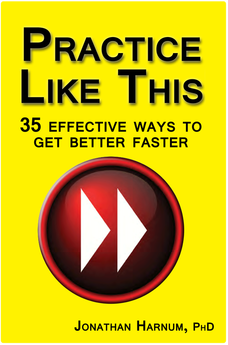 Learn more about how best to practice. Don’t practice longer, practice smarter. The Practice of Practice, by Jon Harnum. On Amazon, Sol Ut Press, and bookstores.